The 2018 Cotton Bowl will host Clemson Tigers vs. Notre Dame Fighting Irish! The Cotton Bowl is one of the biggest NCAA Division I football bowl games in the country. 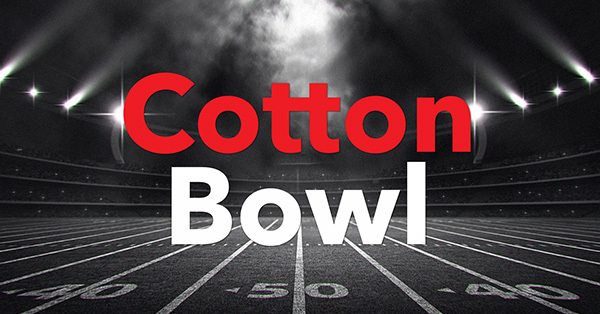 Get Cotton Bowl tickets with Ticket Galaxy, and enjoy the best of college football from the stands instead of from the couch! The Cotton Bowl began in 1937 and is one of six bowl games in the College Football Playoff since it changed from BCS in 2014. The Cotton Bowl occurred at the Cotton Bowl venue for years until 2010 when it switched location to the Dallas Cowboys’ AT&T Stadium in Arlington, TX. This year, the Cotton Bowl is back with an earlier date than usual on December 29th at AT&T Stadium. Get Cotton Bowl tickets to see the college football action live!